Guide last updated: 16th August 2018 for No Limits Magic Build V10.3 release. In the following guide I will be showing you how to Install No Limits Magic Build V10.3 on Kodi 17.6 Krypton. As some of you may know, Kodi No Limits Magic is by far one of the best builds available on Kodi due to its huge amount of addons and the speed/performance of how it runs on all devices e.g. it works perfectly on Desktops, laptops and Android devices such as Amazon Fire TV Sticks with no buffering or lag. The best thing of all is that this build was recently updated to V10.3 bringing a huge number of improvements and fixes such as quicker loading, the removal of old plugins and adding in new and better plugins for watching free tv, live sports, movies, documentaries and more (All in 1080p HD/4k). 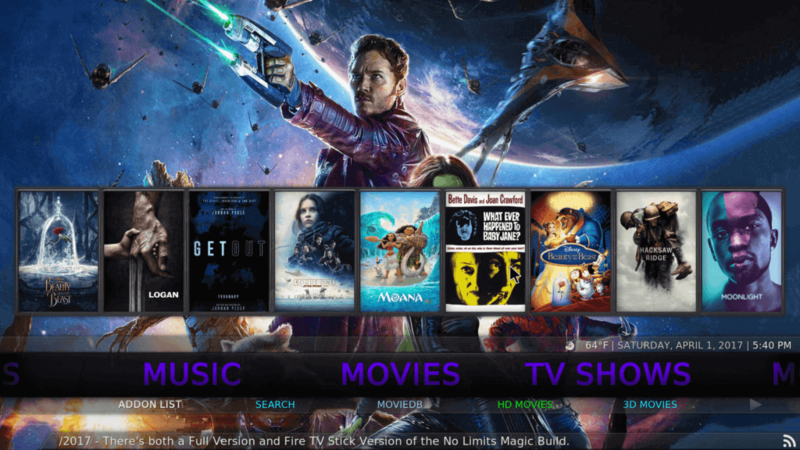 You now have the latest Kodi No Limits magic build installed onto Kodi 17.6 Krypton! Enjoy Unlimited FREE; Movies, TV Shows, Live Sport, Documentaries, Music, and so much more! This is by far the best Kodi 17.6 Krypton Build available on all devices and Amazon Firestick so do not miss out. If you have any questions or issues please let me know below.